Loren Realty is a full-service real estate firm located in Winnipeg, Manitoba. 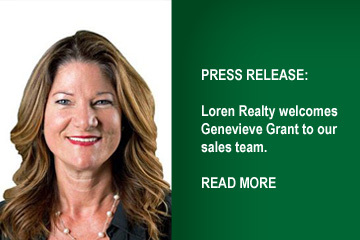 Loren Realty offers experience and expertise to buyers and sellers of residential properties and is owned by professional Realtor®, Lori Thorsteinson. We look forward to working with you, whether buying your first house or selling your present house or building your dream home. Lori has been working in the Real Estate industry for over 27 years, and brings a wealth of knowledge and experience to assist you with your real estate needs.